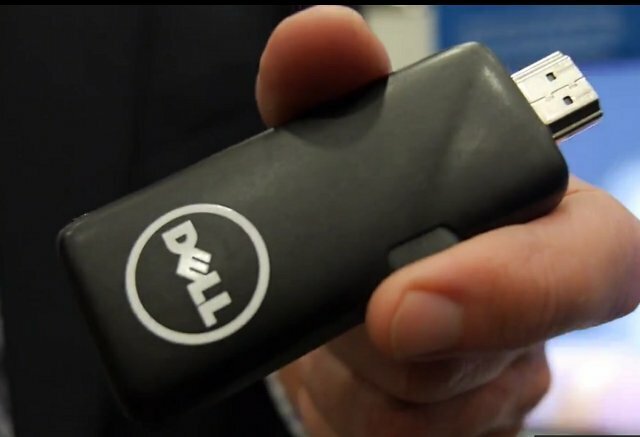 As announced at CES 2013, Dell will be the first multinational company to enter the Android mini PC with Project Ophelia, a mini PC powered by Rockchip RK3066 with 1 GB RAM and 8 GB Flash, which would just be an American copy of Chinese products without support for MHL, and PocketCloud, a software suite to access your computers’ desktop remotely, create your own private cloud, and manage your devices remotely. You can either power the device via MHL if you have a compatible television, or via USB like most other mini PCs, if you have an HDMI TV without MHL capability. The device should sell below $100 and be available within the first half of the year for both enterprise and private customers. PocketCloud Explorer – Browse and manage your Windows/Mac file systems on Android and iOS smartphones and tablets and Windows RT tablets. You don’t really need Project Ophelia to run those, as the first two are available on Google Play, and the third links to a web page, but with Project Ophelia and PocketCloud will provide a complete hardware and software solution. In the video below, Charbax checks out Project Ophelia and PocketCloud at MWC 2013. I don’t find Dell’s representative did a very good job at explaining what the system does, but we still learn a few interesting things. PocketCloud Web allows you to share your files using your own storage (with Dropbox, you’d have to upload the files first, and share it later), which would allow you to save money, as it just uses your own storage if need, and you don’t need to go over the free storage limit (usually up to 5GB) provided by cloud storage providers. If you lose your device, you can disable access to your data remotely, and for enterprise users, you can easily block access to your network to former employees.